These dudes are primed & ready for the Byron Blues Festival! Outback painter John Murray is celebrating our hippy culture with his growing collection of colourful finches. A wonderful iPad accessory for the favourite herbal in your life! Oh wow, this is fabulous! 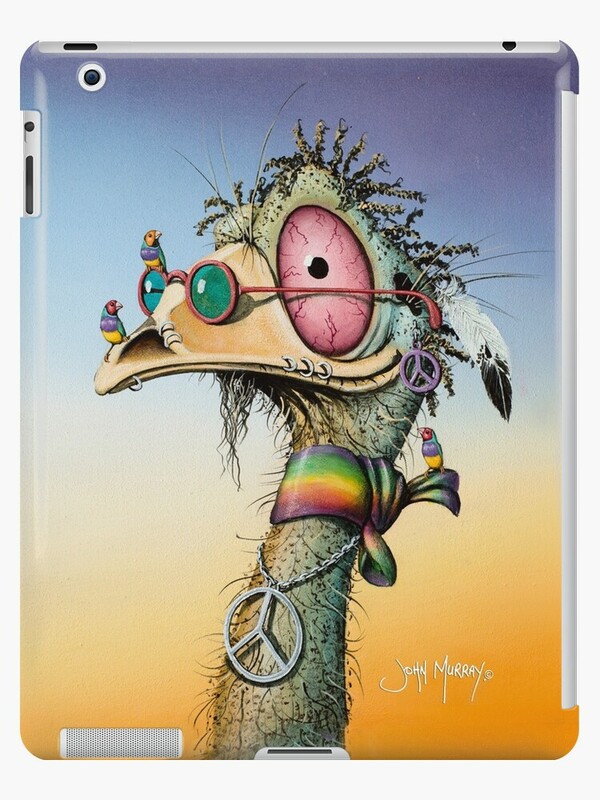 What a great ipad cover! This brings back some memories! I love those little finches perching on the much larger emu, and his blood-shot eyes – he badly needs to recover from “last nigth’s” indulgences! Big smiles – many thanks, John.